Last Summer on Talking Beasts: The Narnia Podcast, Douglas Gresham (stepson of C. S. Lewis) called on NarniaWebbers to support Narnia in PBS’s Great American Read. And you responded! The Chronicles of Narnia by C. S. Lewis placed 9th on a list of one hundred beloved books. Thanks for voting, NarniaWebbers! I think those are marvelous choices. I’m a bit surprised to see Harry Potter above Lord of the Rings though. **Sigh** Of course Harry Potter beat Narnia. Of course. I’m honestly surprised that wasn’t #1 though. And Outlander as #2 is definitely a surprise. I’m rather annoyed as well, mostly because I know a lot of people who are like "Oh yeah I tried Narnia but it was too juvenile," but also think Harry Potter is the best thing since the typewriter. I’m just happy that the winning book, if it wasn’t going to be Narnia, is one that I mostly enjoyed and has an American author. Kinda disappointed about this, but hey, at least Narnia made it in the top ten. I just hope that all the people who voted for "To Kill a Mockingbird" voted because they had actually read the book and liked it, and not just voted for political reasons (because it discusses racial issues that are kind of in the spotlight right now). I think Outlander made it to No.2 just because of the TV show. If this contest had happened AFTER the Narnia Netflix series came out, Narnia would probably have done way better. At least now we can focus on the Netflix aspect of Narnia news now ( with occasional interruptions from Logos Theatre). And remember: Narnia beat 91 other great books! That’s a reason to celebrate!! Well, FWIW, I’ve heard a lot of people say that To Kill a Mockingbird is their favorite book for a long time and not just recently. I didn’t vote for it myself but I think it’s a reasonable choice for greatest novel. Good to hear some confirmation that people actually like the book. I don’t mind it winning so long as it has won honestly. So, um, have you ever read it before? I read it for school in my early teens (I think.) While it’s not a particular favorite of mine, you don’t have to look hard on the internet to find people for whom it is a favorite. I’m surprised you weren’t aware of its popularity until recently. As much as I love the Narnia series, I am grateful that American authors took at least the two top spots. I actually voted for To Kill a Mockingbird because I believe it is a quintessential Southern American book that deserves to be read. And as odd as this is to say, I’m also very happy that an American book won first place, and a very excellent one at that. I think if I had to vote for an American book, that would be in the running. Narnia has been around a lot longer than Game of Thrones, Reepicheep775. And hopefully it will still be around long after Game of Thrones is forgotten about. I think it’s important to remember that The Great American Read is not an effective method to determine the “best” books. Nor even the “best loved”. I don’t think it’s a controversial statement to say I doubt that outlander is the second “best loved book(series)” in America. A look at the voting method shows that it is deeply flawed as far as actually determining a “winner”. 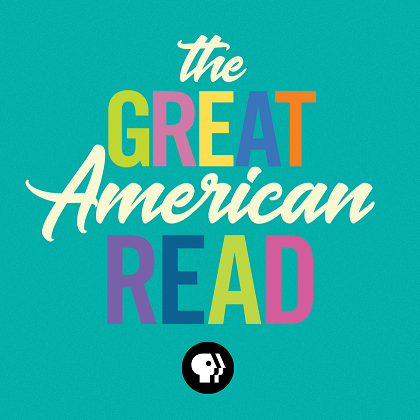 However, the purpose of the Great American Read is not to determine a statistic, it is to get people talking and excited about books and literature. And to this end I’d say it is successful. I also find it interesting that five of the top ten are books by British authors. I have ideas and theories on why this is true but I won’t bore you with them now. I am sort of surprised at how many people I’ve heard express pleasure that at least the top spots went to American authors (I have read neither, to be honest). It would never occur to me to get a vicarious sense of victory because books written by people who happen to live in the same nation as myself performed well in a competition. What is this, the olympics? My contrary nature is actually pleased that the Chronicles didn’t do better. I’m mildly surprised at how well they did. Perhaps it is wrong of me, but I am wary of the mainstreaming of things I love, and a respected piece of literature like the Chronicles doesn’t need attention to prove its worth. Goodness I sound curmudgeonly. Sorry about that. That is an excellent point. When it comes down to it, inspiring new readers is always a good thing. I don’t really get why people are happy about an American book winning either.